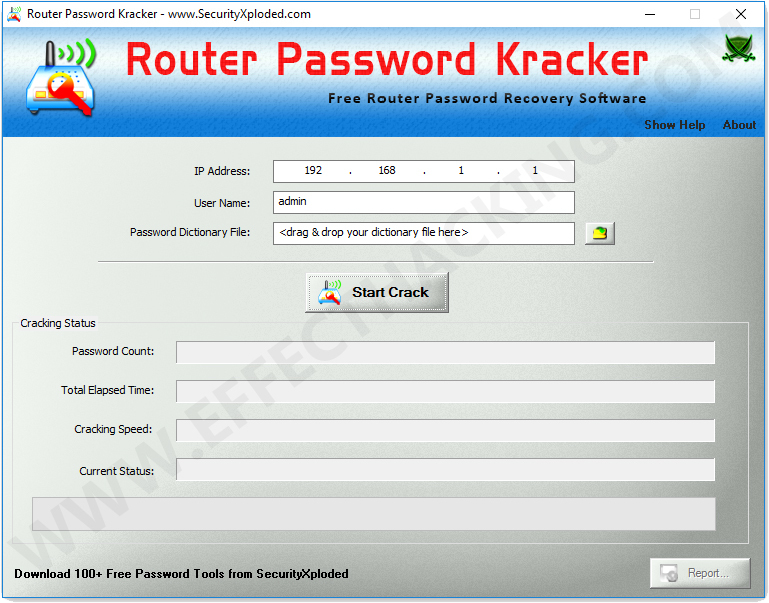 Router Password Kracker is a free program that allows you to crack your router password. You can also use this tool to recover password from your internet modem or websites which are protected by HTTP BASIC/DIGEST Authentication. Note: This tool only works on devices that are protected by HTTP BASIC/DIGEST Authentication. 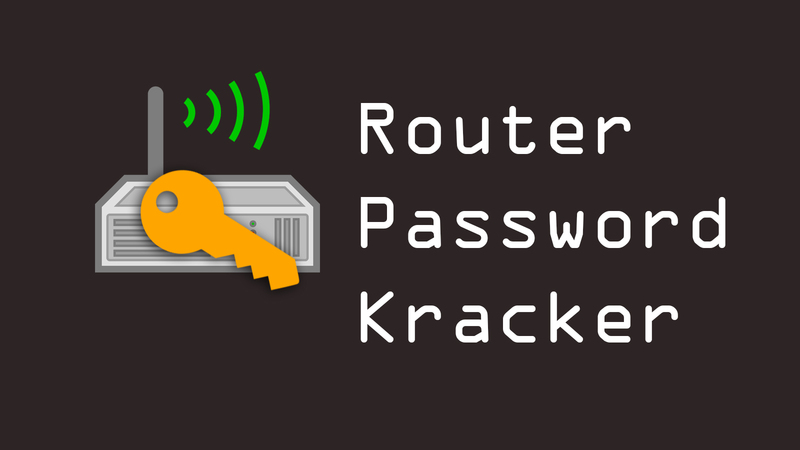 Router Password Kracker uses Dictionary attack to recover passwords. Dictionary attack is a method of breaking into password-protected computers by systematically entering every word in a dictionary as a password. First, download Router Password Kracker onto your computer. Then extract the zip file, and then run "Setup_RouterPasswordKracker.exe", install Router Password Kracker. Run the Router Password Kracker, you will see a window as shown below. Now enter the IP address, Username, and select a dictionary file, and then click on the "Start Crack" button. The program will try all the passwords in the dictionary file until it finds the correct password.